TEMECULA, Calif. — A Christian legal organization has sent a letter to a school district in California asking that teachers be added to its anti-bullying policy after a middle school teacher rejected the Bible as being as acceptable fulfillment of an assignment to read a nonfiction book. The incident happened at Margarita Middle School in Temecula, California, where a teacher asked students to read a nonfiction book for 30 minutes to an hour that night. The next day, they were to bring their books to class as proof. However, when the teacher walked from desk to desk, checking students for completion of the assignment, he saw that one boy had brought the Bible to class. Moments later, the teacher walked to the front of the class to poll the other students about the matter. However, the table was quickly turned on the teacher. 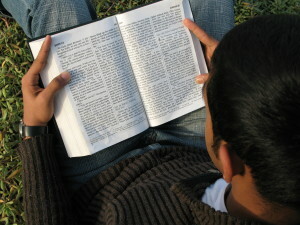 The teacher later granted the student credit for reading the Bible to fulfill the assignment. However, as the situation concerned the boy’s parents, they contacted Advocates for Faith and Freedom about the matter, who in turn sent a letter to the Temecula Valley Unified School District. The letter to the district asked that these types of situations be curtailed, and that the district amend its anti-bullying policy to include teachers. Tyler said that his organization is actively looking for other cases pertaining to Christian students who have been treated unjustly in the classroom. “I want kids across the nation to realize that hostility and bigotry against students based upon their Christian faith is not only wrong, but it is prohibited by the Constitution,” he stated.